There is a human tendency to glamorize history -characters become larger than life, the stories become epic. The pro side to this is that we are entertained and inspired. Pride begins to swell in our chest as we realize the sacrifices made by people we now revere as legends. The con is that the story is sometimes left incomplete and reduced to iconic buttons, posters, and trendy t-shirts. We are unable to identify with a real person, and thereby make the connection that the next legend could actually be a real person like us. 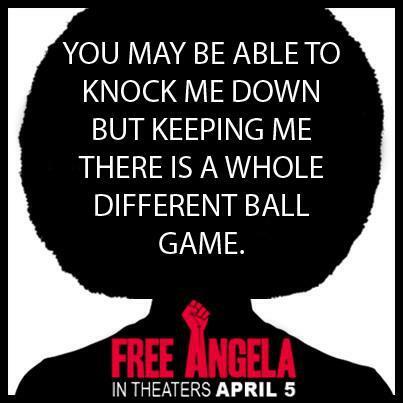 When I saw the first promo image for "Free Angela and All Political Prisoners" in February, there was no question in my mind about the fact that I would be buying a movie ticket to go support. Not only is it rare that the stories of Black Americans are brought to theaters in true form -yes, I'm looking at you "Hollywood interpretation of history"- but for that story to be controversial, unsettling, and place a strong woman in the forefront, is history making in itself. Sitting with writer/director Shola Lynch, Melissa Harris-Perry asks why is it important that she "captures our story," to which she replies because "we were here." Delving deeper into all of the media coverage (because I was really excited), it came to light that we owe much of the distribution of this film to Executive Producer, Jada Pinkett Smith. Introduced to the documentary by Producer Sidra Smith, she recognized that the story of Angela Davis deserved to be shared with the world. Davis was much more than an afro with an opinion. She was an unapologetic, intellectual persecuted by then President Nixon, to make an example out of people who chose to speak out. She was implicated in a conspiracy to murder and kidnap a judge because the guns used were registered in her name. 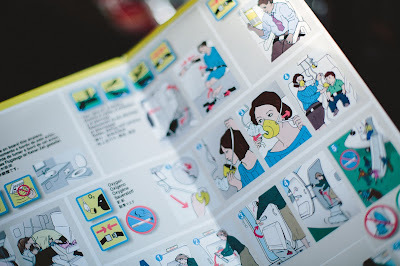 The times were violent, the stakes were high, and this case made noise around the world. I look forward to going to see this documentary that features live footage and narration by Angela Davis herself. Now, not only will people see Davis as a fierce character on a button, but as a highly educated woman who lived through the trials of this time and held tight to her views. My belief is that this documentary brings the legacy of Angela Davis to light in a new a way, and will allow us to find that power within all of us. *If "Free Angela and All Political Prisoners" is not in a theater near you, live the example and fight for it on tugg.com.